The Alhambra is a palace-fortress complex in Granada, Spain, built by the Moors. It was the last Moor stronghold in Spain. In 1491 or 1492 the last head man of the Moors made a deal with Ferdinand and Isabella and left Spain without a fight. Columbus visited them at The Alhambra in 1492. The Alhambra was allowed to run down in the 18thand early 19th centuries. The author Washington Irving lived there for a time in 1829 and wrote Tales of the Alhambra. 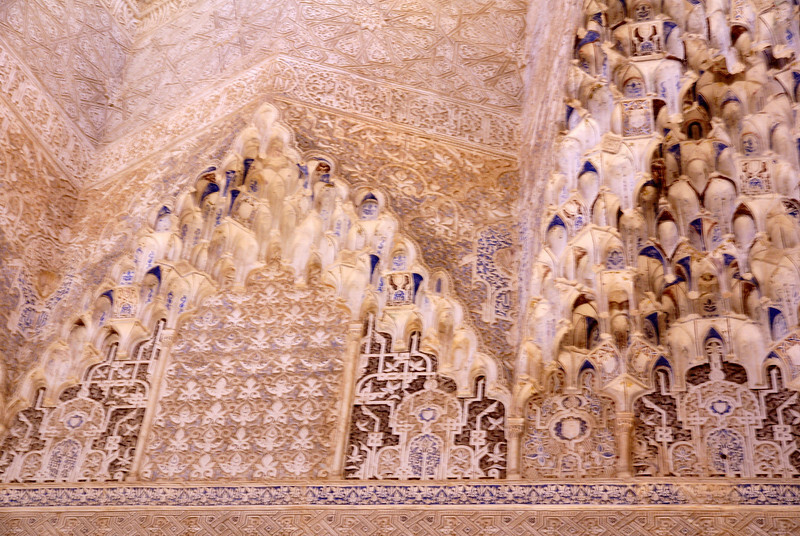 As a result of his interest the Alhambra was saved from ruin. It is a remarkably beautiful place.